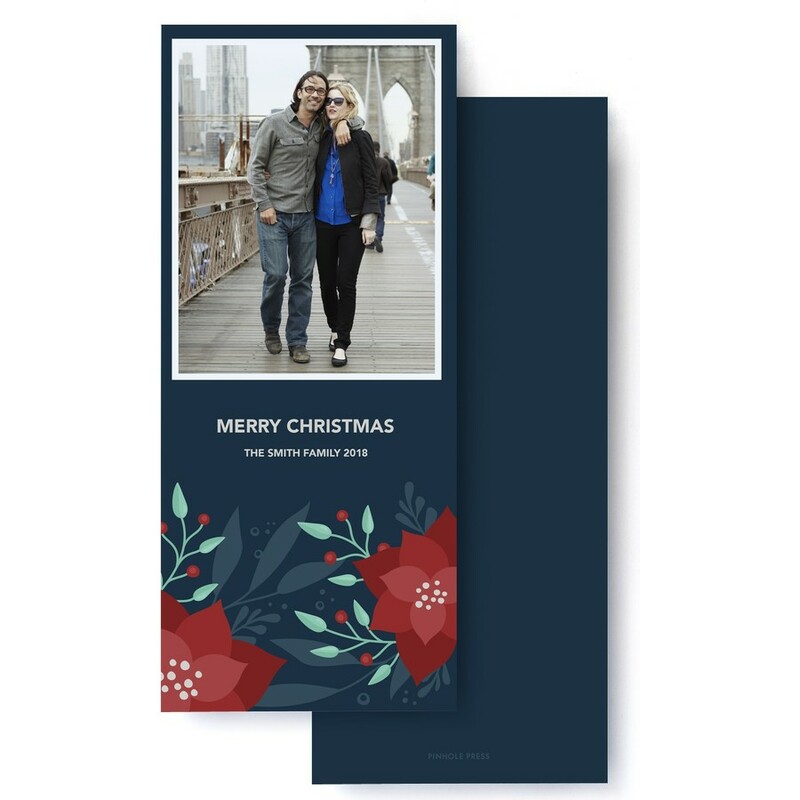 Send some Poinsettias along with your holiday wishes in this Merry Christmas holiday card. A unique and slim, custom holiday card design by Kate Tolmie. This holiday card features 4 photos.